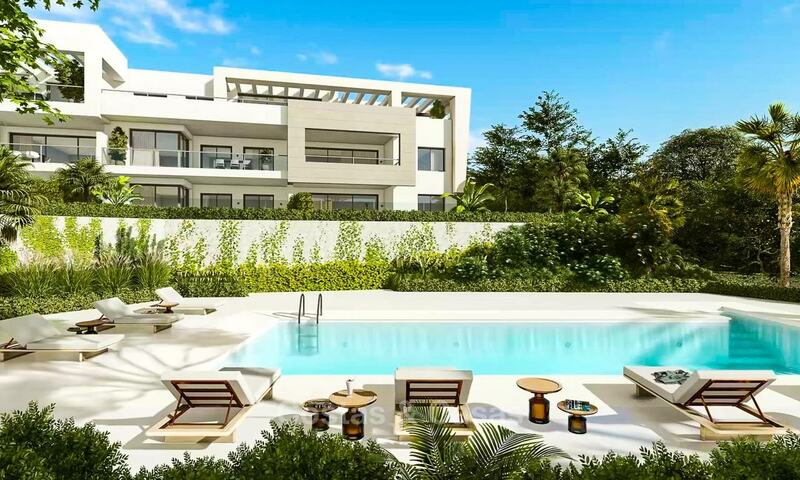 On a beautiful and very respected 9-hole golf course which also boasts a restaurant, gym and wellness centre, a beauty salon and a golf academy. The traditional village of Casares, widely considered as being one of Spain´s most picturesque villages, is about 15 minutes away by car. 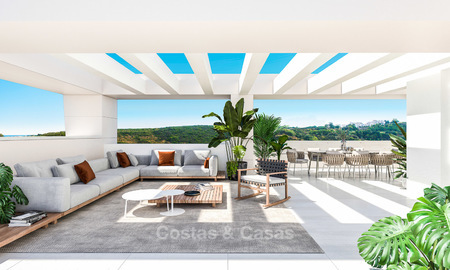 The coastal side of Casares, with plenty of leisure facilities, restaurants and long sandy beaches, takes just a 2-minute drive. 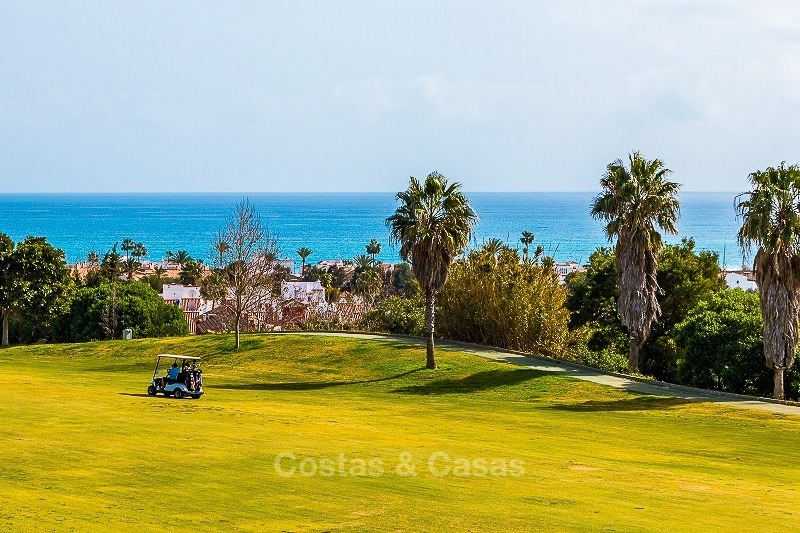 The marinas and leisure areas of Estepona (15-minute drive) and La Duquesa (6-minute drive), are also close by while the classy marinas of Sotogrande and Puerto Banus are 18 and 25 minutes away by car respectively. Golfers will be pleased to learn that there are several top-rated golf courses with associated facilities inside a 15-minute driving radius. 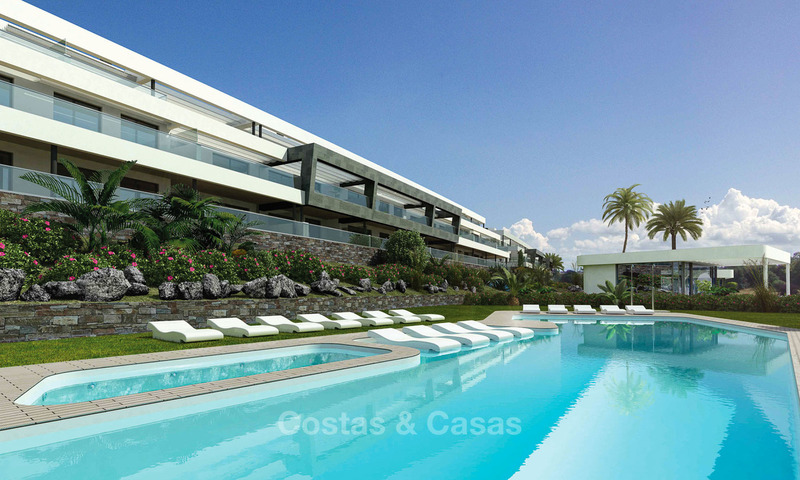 Exclusive low-density development of 2-and 3-bedroom apartments and penthouses within beautiful natural surroundings. 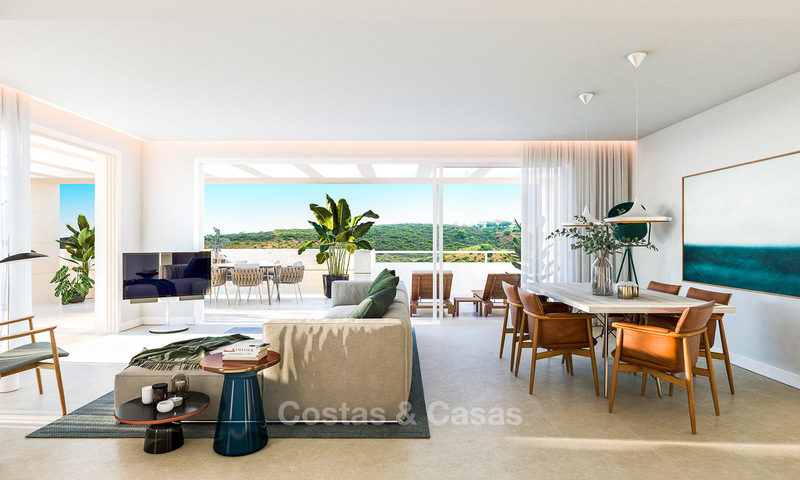 The apartments are conceived in modern contemporary architecture with open plan design which maximises the influx of natural light and smoothly connects the indoors with the outdoors and the spacious terraces. Use of carefully selected quality materials and avant-garde technology ensures home owners will enjoy luxury living in a top-quality home. 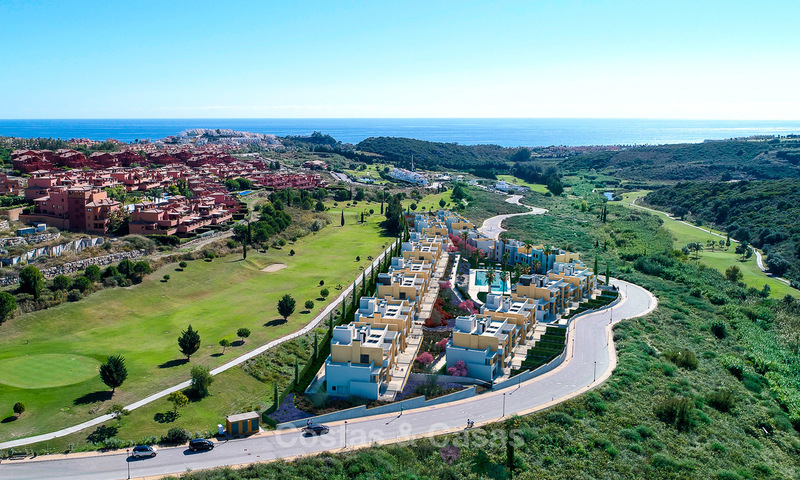 The south-westerly and westerly facing apartments have splendid views of the golf course whilst the penthouses also enjoy panoramic sea views. 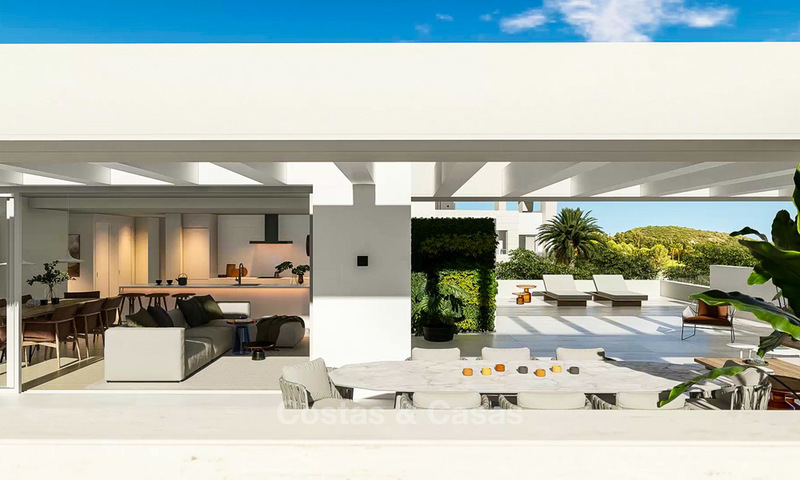 In addition, the promotor-builder offers a personalised specifications programme, so you can choose from different styles and finishes to give that personal touch to your luxury home. The development will also benefit from a BREEAM certificate which makes it an eco-efficient project whereby considerable savings in energy and water consumption are achieved and CO2 emissions significantly reduced. New home owners will receive a gift of one share in the above-mentioned golf club (1 per residence). The complex is gated, with access via a common entrance equipped with security checkpoint and video intercom. Building license has been granted and completion is expected for November 2019.